A9プロセッサを搭載したiPhone 6sのGeekbenchスコアが公開。ベンチマークスコアはMacBook 12インチ Early 2015のエントリーモデルと同程度に。 | AAPL Ch. 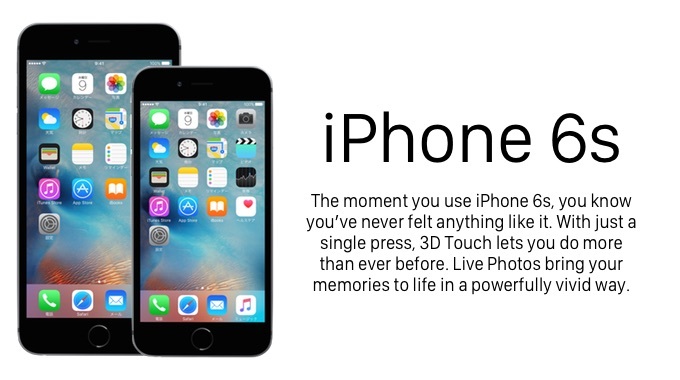 According to Geekbench 3, its new dual-core A9 processor is running at 1.7 GHz and assisted by 2GB of RAM, double the memory Apple had previously ever shoved into a phone. If the leaked Geekbench scores are correct, a lot of the A9 performance increase comes from a big clock speed increase (1.8 GHz vs 1.4 GHz). 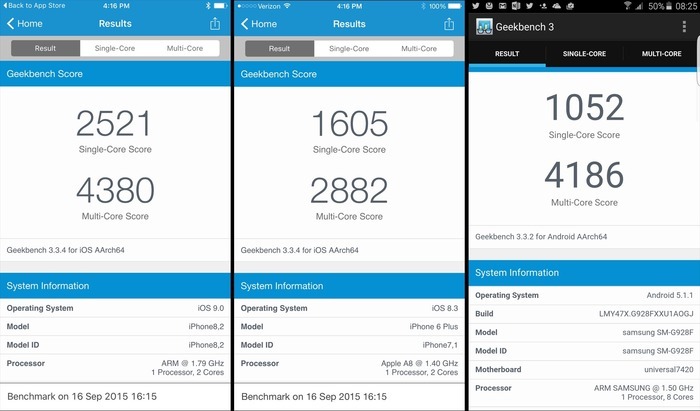 Also, the iPhone 6s and the entry-level 2015 MacBook have approximately the same Geekbench scores. Geekbench 3 scores are calibrated against a baseline score of 2500 (which is the score of an Intel Core i5-2520M @ 2.50 GHz). Higher scores are better, with double the score indicating double the performance.